Tarot XS690 Quadcopter is the upgrade generation of Tarot 680 series. 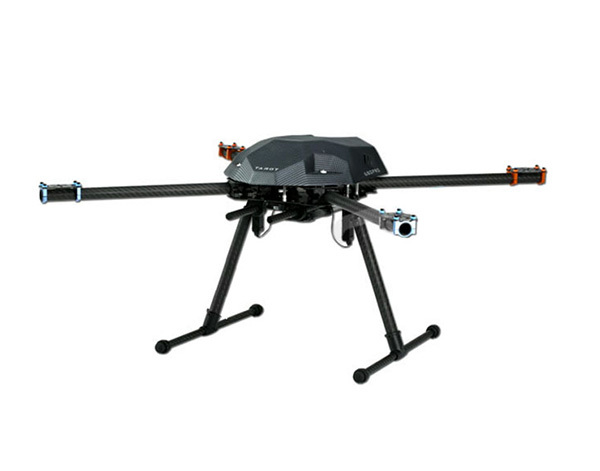 Equiped with new electric folding landing gear and landing gear controller, Tarot XS690 Quadcopter has lower gravity point and more stable performance. Its optimized design saves lots of mounting space, offering a strong vision impact. The high strength carbon fiber made frame and lightweight motor mounting seat ensures a longer flight time.